The early years of the twentieth century were years full of change and promise for a new reality. Trade unions were becoming more prevalent in Britain. There were more opportunities for social mobility even far from major cities. The whole complexion of society was changing and rapidly; indeed, the world as a whole was changing. Jane Sanderson's novel Netherwood, set in Yorkshire, captures one corner of the world in which these changes were occurring. Arthur and Eve Williams are contented in their lives. They have a happy marriage and three young children. Arthur is a miner in one of the Earl of Netherwood's collieries and Eve is a fastidious housewife. The Earl is a benevolent mine owner known for treating his employees well. Arthur and Eve go about their raising their children, work, and the daily realities of their lives generally cheerfully, involved in the life of the community. When Eve hears that the miners in another town, not so lucky as to work for good owners, are striking, she is determined to help them, especially since it is the depressed town where she grew up and was lucky enough to escape. Arthur is less certain about any sort of activism or support but when the local minister asks if the Williams' can temporarily house a young Russian widow and her baby, Arthur is the one to agree. But then tragedy strikes. It is only thanks to the presence of Anna Rabinovitch, a woman who has lost even more than Eve, that Eve can find the courage to go on. And it is Anna who suggests that Eve's talent, and the thing that will keep her family afloat in the terrible aftermath of tragedy, is her skilled and delectable cooking. So Eve opens her door, selling pies and puddings to other local families. As she makes a success of it, she comes to the attention of the Hoyland family (the Earl of Netherwood's family name) and she starts a rather meteoric rise thanks to her industry, Anna's support and encouragement and the financial backing of the Earl. Alternating with the story of the working class Eve, is the very different world of the aristocratic Hoylands, introducing the Earl and Countess of Netherwood and their children, the feckless, good-time heir Toby, his eminently capable older sister Henrietta, and their carefree (Dickie) and spoiled (Isabella) younger siblings. 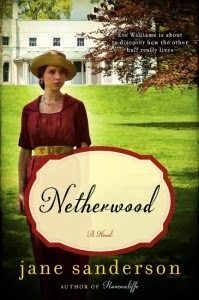 The Earl loves Netherwood, both his magnificent family home and the town, and he has a very vested interest in seeing the townsfolk succeed and lead happy lives since so many of them are his employees at the mines. But he is adamantly opposed to allowing his workers to unionize as so many around them are doing. He despairs of his son ever taking an interest in the land and the people for whom he holds a responsibility, only occasionally noting that it is a shame that daughter Henrietta hadn't been born a son as she is far more suited to the job of future earl than her brother. The Countess is a delicate creature who loves London far more than Netherwood and indulges in sudden enthusiasms, following the fashion of society. Eve's worries (will she be able to pay her rent, how can she expand her business, is her son accepting Arthur's death and Anna's advent in their lives, and can she maintain just a friendship with miner Amos when he wants to give her his heart) are mainly of a far different ilk than the worries facing the Hoyland family (will Toby ever mature, why doesn't the King want to come to visit Netherwood, who should Toby marry, will Henrietta marry, where should the Earl invest some of his considerable fortune) highlighting the gulf between the two halves of society. But despite their differences, Eve's life and the Hoylands' lives are inextricably bound together, especially once the Earl invests in the expansion of her business, becoming a patron of sorts. And it is this interconnectedness that drives the latter half of the novel. Sanderson has kept a light hand when writing about the emerging issues of classism and feminism, choosing to draw her characters, upper and lower class both, sympathetically. She does have a thread of social commentary running throughout the novel, in the character of Amos and his desire to unionize the miners, but as he's not the focus of the novel coupled with the fact that the Earl is generally a decent employer, this minimizes the importance of the labor movement to the storyline. Despite this, the novel is heavily weighted in its focus on the working class in the character of Eve and her surprisingly easily achieved success. But she's such an appealing character, as are the other main characters as well as the secondary characters, that this can be overlooked. It's a bit slow to start but once the reader gets into the novel a ways, the story becomes more compelling and harder to put down. Those who enjoy historical sagas will certainly appreciate this one as there's a little humor, some sadness, and a lot of pluck in these well-written pages. And for fans of series, the sequel is available and a third has already been released in the UK.